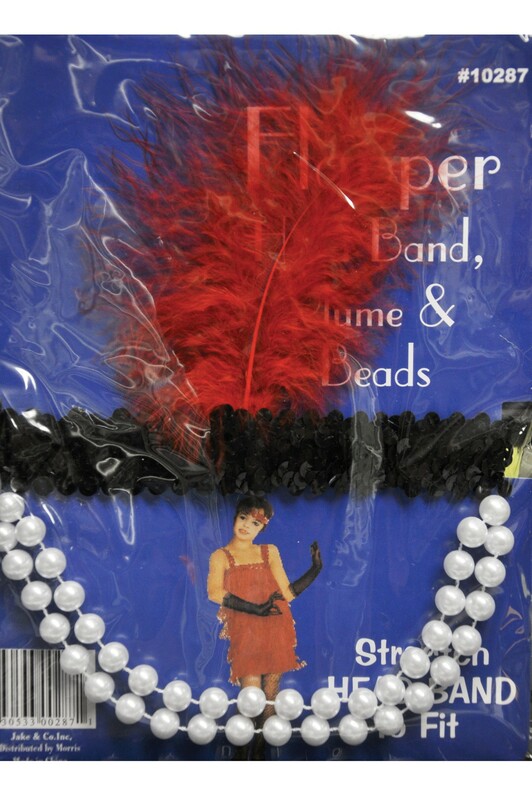 The perfect accessory kit to finish your 1920s look. 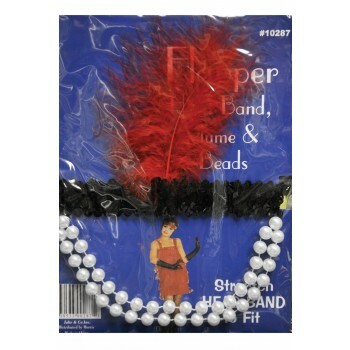 Elastic sequin headband with red feather attached. Includes 20's style strand of pearls.